As in previous years, graduate veterinarians and nurses who are 35 years or less on the first day of scientific sessions (Thursday 21st, June 2018) are invited to apply for sponsorship of the registration to attend the main congress scientific sessions. The number of places allocated for each country is strictly limited (3 persons per country of origin) and will be selected by Royal Canin. Therefore it is recommended to apply as soon as possible as the submission period starts on November 1th 2017 0:00 CET (GMT+1) and will be closed when the number of free registration is reached. Applications made before or after this period will be dismissed. Please note that submission of an application does not guarantee free congress registration. You will receive a confirmation/rejection whether you are entitled for the free Royal Canin registration before January 31st 2018. 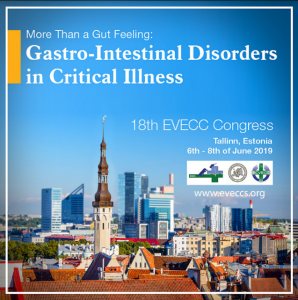 Find more information about this on the EVECC Congress website.